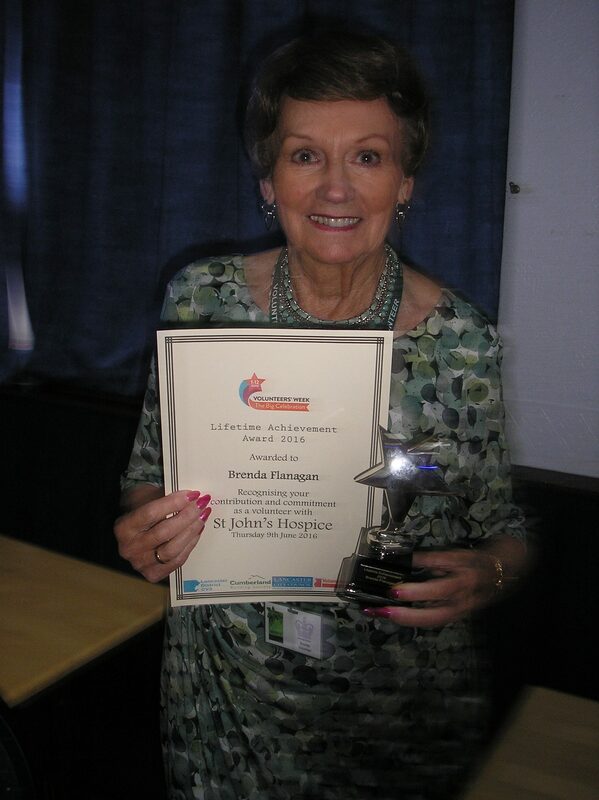 Home » About the hospice » Latest News » Volunteer News » Our fantastic volunteers celebrate winning a number of awards at the Lancaster District CVS awards. Our fantastic volunteers celebrate winning a number of awards at the Lancaster District CVS awards. 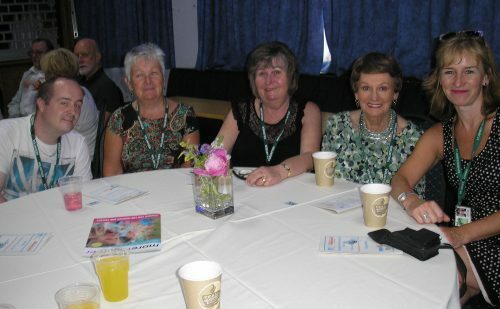 It was the Lancaster District CVS awards last night at Trimpel Sports and Social Club on Thursday 9th June. As well as St. John’s Hospice receiving an award from the mayor for our shops & warehouse volunteers, collected by our volunteer representative Lee sharples, and another for our Hospice volunteers collected by our Hospice volunteer representative Carol Baines, Glenys Budden and Brenda Flanagan; individual awards were received for Pat Ormesby and Marion Robinson. The ultimate prize of the Lifetime Achievement Award was won by our very own Brenda Flanagan. Thank you to all our volunteers helping in many different roles, we are very proud of you all! Brenda Flanagan collects her Life Time Achievement Award. Our fantastic volunteers with Nicky Willan our Volunteer Coordinator.